NRI always look for new Investment opportunities in India. Real Estate is one of the most preferred investment options for NRI’s. RBI also allows NRI to buy property in India however, NRI need to follow various rules and regulation while buying property in India. Let me share with you one Incident. My one of the NRI friend visited India in 2011. He was in a hurry and he wanted to invest money in property. He got a very good offer of one land nearby Surat. The property was agriculture land. My friend was not aware of the rule that NRI cannot purchase agriculture land, farm house or plantation property in India. The land owner sold this land on possession letter (Kabza Rashid) as registry was not possible. My friend completed the transaction innocently by trusting the owner. After inquiring, he came to know about the rule mention above. He approached landowner asking the same, owner promise him that process of converting this agriculture land to Non-agriculture (N.A) is on and soon it will be completed. Four years has passed and still property is agriculture property. My friend is now wondering what to do about this property and possession letter. So, If you are NRI and planning to buy property in India, you should be aware of the rules & regulation & tax matters related to buying property in India. Here is complete NRI guide for buying property in India. Yes, NRI can buy residential or commercial property in India. There is no limit on a number of properties that NRI can hold or purchase in India. NRI can purchase any immovable property in India residential or commercial. NRI cannot purchase agricultural, farm house or plantation property. They can inherit this type of properties. They can transfer or sale property to any Indian resident. 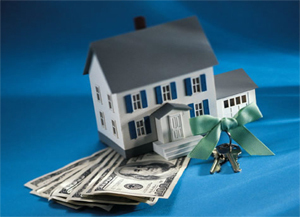 NRI can also gift property to any person either residing in India or abroad or person of Indian origin. Source of the fund for buying property can be foreign currency brought in India through rightful banking channels. Alternatively if NRI is holding NRE or NRO account in India they can issue cheque from this account for buying property. NRI can make payment from FCNR account/deposit. NRI can take home loan from banks or financial institution for buying property in India. NRI can take maximum 80% loan to buy property in India. The remaining amount should be arranged by the NRI. Down payment can be done from the place of residence by banking channel. Repayment and EMI should be paid by similar banking channel. Principal payment maximum up to 1.5 lac can be deducted under 80C from the Income for the calculation of tax. NRI can claim a deduction of maximum 2 lac for the interest paid on Home Loan for the self- occupied/vacant property. If the property is rented out, one can claim actual interest paid. Rent income needs to be taken into account while calculating total income. The NRI need to pay capital gain tax as per income tax in case he sell- off the property. Never involve yourself in buying agriculture property. You should register property transaction legally. Never trust on possession letter. Check ownership rights of property before making any payment. Take No due clearance from the owner at the time of purchase. If the property is mortgage earlier it is good to take bank release letter. Check Property documents and permits for doing construction. You can prepare power of attorney on the name of a trustworthy person, who can complete the legal formalities on your behalf in your absence. Hope I am able to clear your doubts about buying property in India. Do share this article with your NRI friend who is keen on buying property in India. Help him to clear his doubt about buying property in India. How NRI can transfer money abroad from property sale? Thanks for the detailed rules for buying property . Hi Ravi, What a wonderful useful on NRI guide for buying properties in India. This post would help so many NRI’s to take the first step in buying their properties in India. Thank you for sharing, Ravi have a wonderful night and week ahead!